Himalayan pink salt is a naturally occurring type of salt that mined in the Punjab region of Pakistan. Most of the salt is found near the foot of the Himalayas, hence the name. It is composed of 98 percent sodium chloride and is similar to table salt. The remaining 2 percent is made up of small amounts of other minerals including potassium, magnesium, and calcium. This combination gives it a pinkish hue. Himalayan salt has many uses including seasoning foods, preservation of food, and as bath salts. But what are the side effects of Himalayan pink salt? Iodine is an essential mineral that plays an essential role in maintaining proper thyroid function as well as cell metabolism. Iodine is found in foods such as dairy, fish, eggs, and seaweed. The mineral is mostly found in iodized salt which is found in many households. A deficiency of iodine leads to goiter (an abnormal growth of the thyroid gland). The pink salt contains trace amounts of iodine which is less than the recommended dose. Sodium is required for your health but only when taken in the right amounts. Excessive consumption of sodium poses a risk of high blood pressure which can be a doorway for other serious health conditions such as strokes and cardiac arrest. People with liver and kidney conditions should have a diet restriction on sodium. The list includes Himalayan pink salt. You are highly recommended to take the right amounts of sodium. Be careful with the salt shaker as you may end up consuming more sodium with every shake. Research indicates that many children and adults take more than the recommended amount of salt. The risk of consuming too much sodium is high, and this also applies to Himalayan pink salt side effects. The recommended amount of sodium for an adult is a teaspoon of salt every day, but most people consume way more. When this happens, the body tries to excrete the excess sodium. When this fails, fluid begins to build up in the body, thus straining the heart. Excessive sodium in the body has also been linked to autoimmune diseases like lupus, rheumatoid arthritis, psoriasis and multiple sclerosis since it over-stimulates the immune system. 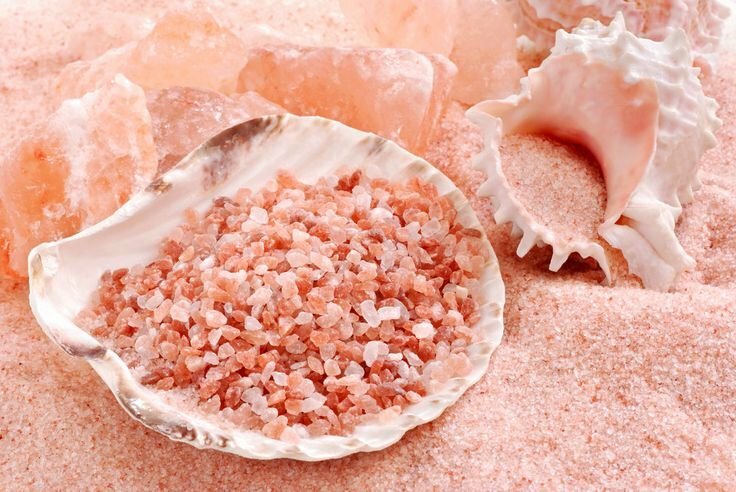 Some himalayan pink salt side effects are associated with salt baths. Salt baths may increase pressure on the circulatory system, posing a serious health risk for those suffering from poor circulation. It is vital for people living with diabetes, high blood pressure, kidney disease or pregnant women to seek medical opinion first before engaging in soaking in a salt baths. The same applies to people with kidney conditions and liver disease and those recovering from recent illness. Cooking and Curing – Use ground pink salt like regular table salt. Salt Slabs – They are good to use since they impart minerals and give food a pleasant taste. • Chilled: use slab for fruits and vegetables or as a decoration. Since Himalayan pink salt is antimicrobial, the slab can easily be cleaned by a simple rinse or wipe. Bathing – A Himalayan salt bath will not only detox your body, but the nutrients will help soothe sore muscles and aid circulation. The bath is therapeutic and will leave you feeling relaxed and pampered; it has over 80 minerals that your skin will just love. So why don’t you go ahead and have a good soak? Sea salt is better than ordinary table salt since it has more minerals. However, with increased pollution, it is not guaranteed that sea salt will remain as healthy. Besides, sea salt is becoming more and more processed which robs it of its natural benefits. For these reasons, Himalayan pink salt is better since it can still be found in its purest form. Regular table salt undergoes vigorous processing that strips it of significant minerals except for sodium and chloride. On the other side, even with himalayan pink salt side effects, this salt is healthier than ordinary table salt. Table salt undergoes bleaching, a process that uses chemicals and high temperatures. What ends up on our tables is highly synthetic, which is difficult for the body to absorb properly.The result is that ordinary table salt causes a buildup of fluids in the body which poses serious health risks.